London, 1819. Wherever Cassandra Darkin goes, fire is sure to follow. It's not until she's swept into the arms of a handsome, infuriating stranger that she learns she's responsible for the fires. As it turns out, Cassandra is a fire mage...and with her gift comes a blazing desire for sins of the flesh. 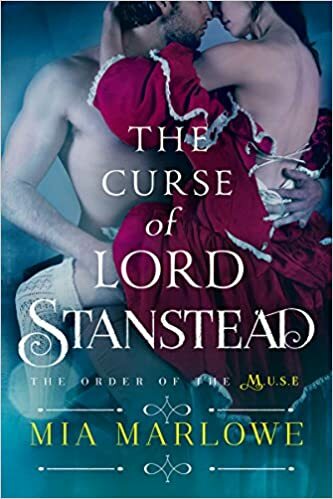 With his pretenatural ability to influence the thoughts of others, Garrett Sterling is sent to gather Cassandra for the Order of the M.U.SE. He's entirely unprepared for his immediate attraction to the comely little firestarter. But it's an attraction that he must quell, even as his body craves her touch and her fiery, sensual hunger. For Garrett's gift has a dark side...and the moment he begins to care too much for Cassandra, he knows he will doom her to an inescapable fate. The Order of the M.U.S.E. series is best enjoyed in order.